Time Inc. will spin off from Time Warner this Friday, but before then, the publisher has a bit of news: It is buying Cozi, a Seattle-based tech company. 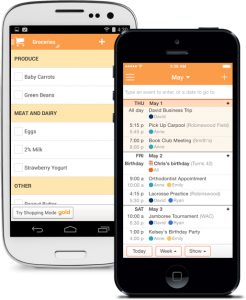 Cozi creates digital organization products and apps for families. Its most popular product is the Cozi Family Organizer. First, its digital tools naturally align with the more than 53 million families we reach every month. We look at this as an attractive opportunity to combine content from our brands like Real Simple with these interactive tools and products, ultimately giving us a much deeper level of engagement with this important audience. We also believe that Cozi’s organizational products can be applied more widely across our portfolio of brands—imagine the possibilities if we offer travel buffs, sports enthusiasts, or food lovers tangible digital and mobile tools to organize their activities combined with deep, relevant content.